Quick take: The JVC KD-R810 is a very nice head unit and I’d recommend it to anyone looking for integrated Bluetooth support. The customizable colors are a plus and they really complete the install in my Tacoma. About 4 years ago I installed a Pioneer head unit and dash kit in my 2005 Toyota Tacoma with excellent results. That stereo got stolen when my truck was broken into this summer and I needed to find a new stereo to replace it. In the 4 years since I did research into different stereos there has been an increase in features being included in units for about the same or a bit more money. iPod, USB and Bluetooth integration are becoming ubiquitous and HD Radio tuners are even starting to be included at lower price points. One big movement coming is towards “Media Receivers” that forgo a CD player completely and are really designed around using an iPod, phone or USB drive exclusively. 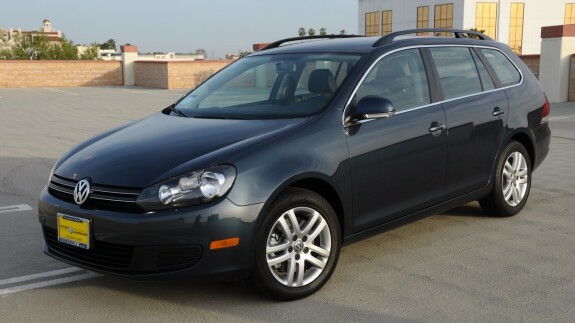 Bluetooth: My only Bluetooth experience has been in our Jetta Sportwagen. As far as I know you can only receive calls on that unit and initiate calls from the phone since there is no phonebook support. The JVC KD-R810 does have support for a manual phonebook and can access your phone’s recent received/dialed/missed calls. I mounted the external mic directly below the stereo in my dash kit’s pocket. My wife said I sounded fine the few times we’ve used it so far. Units with the mic built into the faceplate of the stereo have received marginal reviews on Amazon so the external mic was a plus in my book. I also tested streaming music from Pandora on my phone to the unit over BT and it worked flawlessly. iPod Connectivity: The unit has worked great with my 5th generation iPod. Compared to the factory media interface in our Jetta, the JVC is vastly superior. Browsing is easier with the knob and loading is nearly instant. Spin the knob quickly and it will go into a fast seek mode much like the iPod does allowing you to skip quickly through a long list of items. Color Customization: One other big selling point was the ability to customize the display’s colors. My Tacoma’s dash has an orange/red backlight across all of the controls and aftermarket head units like to use bright alternative colors that clash. The button lights and display can be set to different colors for day, night and menu use. One of the color presets matched the rest of my dash lights exactly and I set it to use that all the time. Sound Quality: I have a pretty good ear for audio and dialing in an EQ. This unit was much easier to dial in than my previous Pioneer unit. Not sure if it has more power, but it just needed a healthy boost at 50hz and small cut at 1khz. It is very clear and pumps out more than enough low end with my stock speakers. The unit does have a Burr-Brown 24-bit DAC which is a step above what you’d get on a cheaper stereo. One Con: The only con of the unit I can find is that the display is not polarized lens friendly. With my sunglasses on, the display text is almost completely filtered out. It is slightly annoying, but I shouldn’t be looking at the display when I’m driving anyways. The first stereo I put in my 2005 Tacoma got stolen this summer so it was time to do it all over again. It was a lot easier this time since I wasn’t starting with the stock stereo still installed, but it’s a fairly easy project either way. Head Unit: Last time I bought a Pioneer unit and liked it, but this time around I was looking for more features, especially built in Bluetooth. I narrowed my choice down to the JVC KD-R810 because it had Bluetooth and good iPod support along with customizable backlight colors. One of the preset colors matched the rest of dash exactly. You can read my full review of it here. Dash Kit: The Scosche kit is pretty nice and matches the flat silver color on my 2005 SR5 Access Cab almost exactly. I prefer it to the stock stereo which has the textured silver. I chose to run the Bluetooth microphone and the rear USB connector through the back of the dash kit’s pocket. There’s a plastic support piece that screws onto the back of the pocket and it covers up nearly the whole thing. I was able to drill two 1/2″ holes right next to each on each side to feed through the mic and USB. There’s just enough room with the support piece on for the cables themselves and covers up the bulk of the holes. You can kind of see this in the picture below. Wiring Harness: The wiring harness is a must. Not only does it make installation go quicker, but it avoids having to cut the factory harness off. The wire color on the harness and the stereo are standardized so you just have to match them up and crimp. You can solder them, but either way works just fine. I found joint pliers were the easiest to get a good crimp with. Final Results: I’m much happier with the install this time. My old stereo matched the color of the dash, but it had white text and green backlighting. I think I prefer the JVC and its black/silver front with matching lighting. We were outgrowing Sarah’s Acura RSX and really wanted a four door car; it isn’t fun cramming friends in the back of little coupe. It was about 8 years old and coming up on 90k miles which was starting to show. The leather on the seats was cracking and the clutch needed work. I also kept noticing how loud road noise was at freeway speeds, a side effect of low profile tires and stiff suspension. We started the selection process with one criteria: the replacement vehicle had to get similar or better gas mileage than the RSX. That eliminated a pretty big portion of the car market because the RSX was capable of mid 30’s on the highway and high 20’s in the city while still being fun to drive. Our full list of criteria really narrowed things down: 35+ MPG on the highway, automatic transmission, 4 doors, leather interior, AUX input, and not a hybrid. A quick filtering of 2010 models shows that there isn’t much to choose from once you add on that MPG requirement. There are some small gasser like the Mini, Yaris or Fit that get decent MPG, but they weren’t what we wanted really. The only other thing left were Volkswagen’s diesel TDIs. Between the Jetta Sedan, Jetta Sportwagen and Golf, we liked the Sportwagen the most. It was equipped with everything we wanted and destroyed practically every other car in its class in MPG. It’s kind of crazy that no other car manufacturer has bothered bringing a middle of the road, fuel efficient diesel to the US. If all we cared about was mileage then we would have just gotten a Prius, but I like driving. The Prius is a great midsize econobox, just a little uninspiring. Toyota can keep their few extra MPG and unwanted acceleration. So after finding the one dealership in So Cal with the exact car we wanted and getting a quote $1k under sticker we drove home in a new 2010 Volkswagen Jetta Sportwagen TDI. Between the DSG transmission (Dual Shift Gearbox, pretty much an automatic manual) and the gobs of torque turned out by the turbocharged diesel the JSW is actually pretty fun to drive. Shifts are super quick and I don’t think I’ll miss driving a stick; the 6 speeds and lower RPMs would mean a lot of rowing through the gears around town. We got 35 mpg on our first tank of diesel with mixed driving, but I expect that to rise as the car breaks in and I tone it down on the accelerator. A couple of the buttons on our Acura RSX’s stock radio were dying and I wanted an auxiliary input to plug in an iPod or other MP3 player so it was time for a replacement stereo. Compared to the install of a new radio in my 2005 Tacoma this was a cakewalk. The stock stereo is a standard single DIN size so there was no need for a dash kit or anything extra. 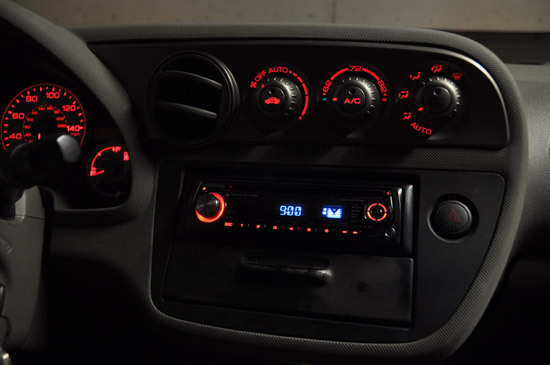 There were a couple things I wanted on the replacement stereo: black face and red backlighting to match the rest of the dash and a front auxiliary input for easy and cheap iPod integration. The Kenwood KDC-MP208 matched this pretty good and the price was hard to pass up, $59 shipped from one of the third party sellers at Amazon. If you are hooking an iPod up to an auxiliary input I highly suggest a cable that gives you a line level output like this Cables To Go – 4ft iPod Dock Connector to 3.5mm Cable. 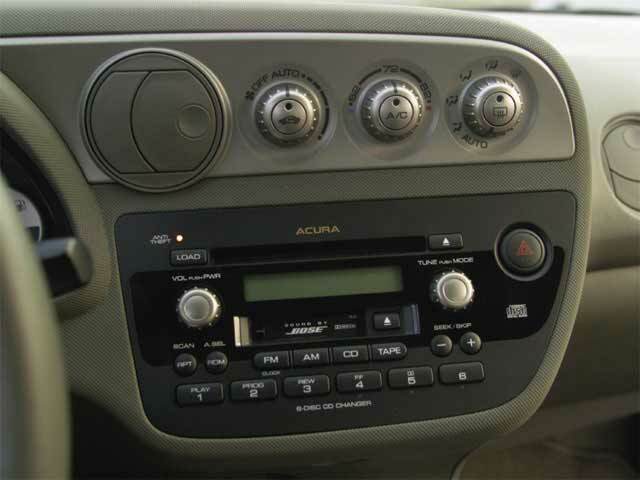 Type-S Owners: If you own a Type-S with the premium stereo (no pocket, like this) you will need to get a replacement dash kit to accept either a single or double DIN aftermarket stereo. This Scosche installation kit allows for either single or double DIN and comes with the pocket if you go with a single DIN unit. 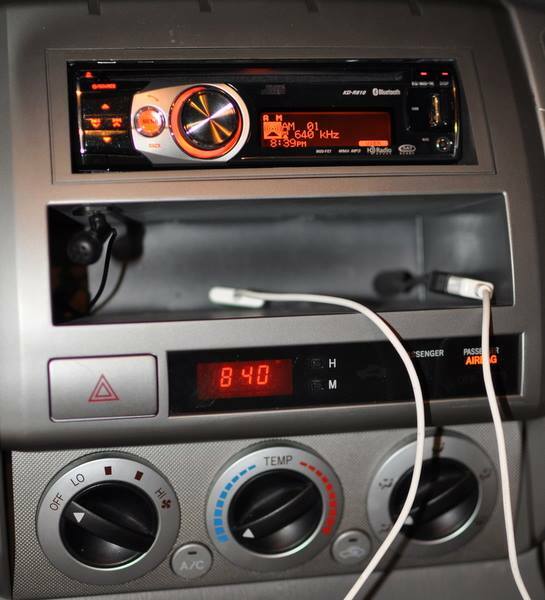 Installing Double DIN unit: If you want to install a double DIN unit then you’ll need the Ssosche kit linked above. Head Unit: This JVC unit looks interesting as it has built in HD radio and customizable colors: JVC KD-HDR50. These units look like good matches to the RSX’s red/orange backlighting too: Kenwood KDC-MP142, Sony CDXGT430U, and Sony CDX-GT330. I got the Kenwood KDC-MP208 but it is no longer available at Amazon. Pull off bottom plastic dash cover that houses the power adapter plug. There are little tabs on the side to get a screwdriver in. Pop one side out and firmly work the rest of it out. It might be tough at the end, just give it a good tug straight out and it will give. Using a small ratcheting wrench with 8mm socket or stubby Philips screwdriver, unscrew the two screws going up towards the stereo. They’re at a funky angle and there’s not a whole lot of room to work. Might be a good job for someone with smaller hands. I loosened the screws and backed them out by hand to avoid the risk of dropping them into the bowels of the dash. Once the screws are out the whole stereo and hazards section will slide out with a little force. Grab the back of the stereo mount through the dash and give it a real good pull. Mine had never been removed and it took some pretty good yanking to get it to budge. I used a screwdriver to pop a clip on the top right corner above the hazards switch. Slide it out a few inches and disconnect the hazards wiring harness and then the stereo’s harness. Unscrew the stock stereo from the bracket and replace it with the new unit. Plug it in with your prepared wiring harness and test to make sure everything is working. Pan to each of the channels to verify the speakers are connected correctly. Plug the hazards harness back in or your turn signals won’t work. Wonder how I know that? Replace the 2 screws and pop the dash cover back on. That’s it. I’m really happy with the results. The sound on the inexpensive Kenwood unit is much better than the stock stereo. The bottom end was very lacking before, but now it is more than adequate with the stock speakers. Radio reception is good and overall this is a nice cheap way to get your MP3 player hooked up in an RSX. The rest of the world uses diesel, why can’t we? So Ford is complaining that they can’t bring a good fuel efficient car to the US because of the barrier diesel presents. You know what, if you advertise a car that gets 65 mpg, the public isn’t going to care what it runs on. When it comes to cars, America is just slightly retarded.